I could almost see the previous version of the cycle working. I wanted to solidify some design changes and try making the cycle using more traditional methods. 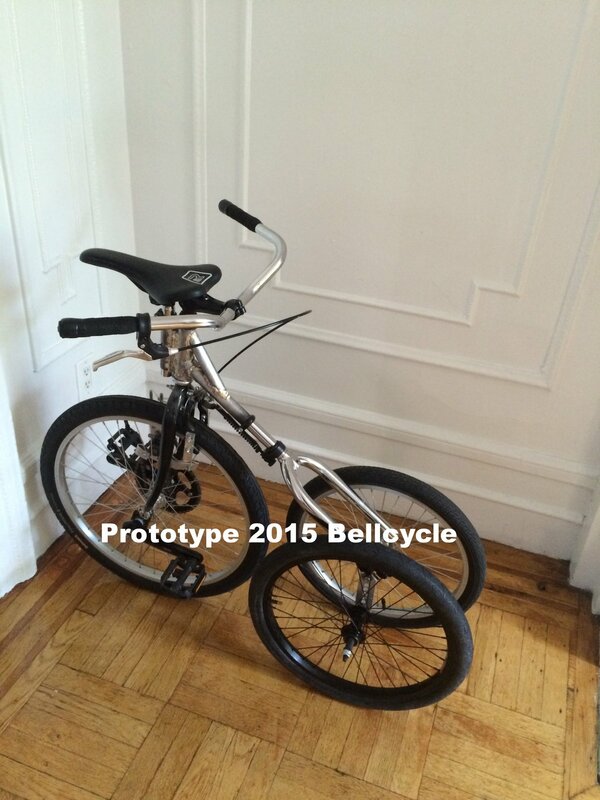 In the back of my mind I considered what it would take to build a version of the cycle to sell. For most bicycles sold on the market the frame construction methods are TIG welding of aluminum or steel, brazing of mostly steel, and composites involving epoxy and carbon fiber, wood, bamboo etc. 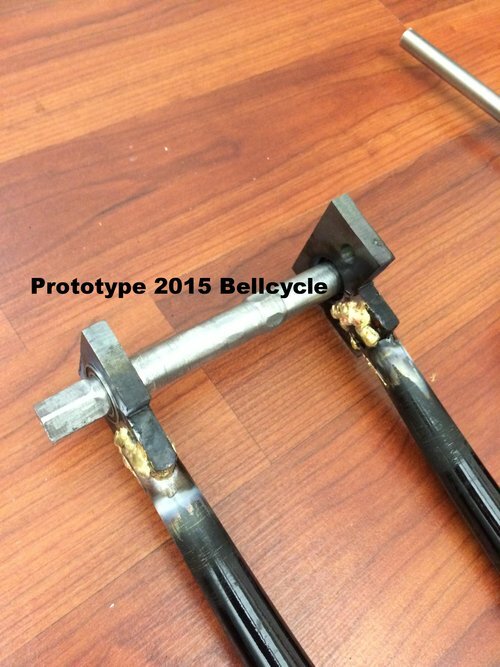 I wanted to see what brazing was like so after a quick trip to Home Depot for the WK5500 Brazing Torch Kit and a few how-to youtube videos V.Beta was born. 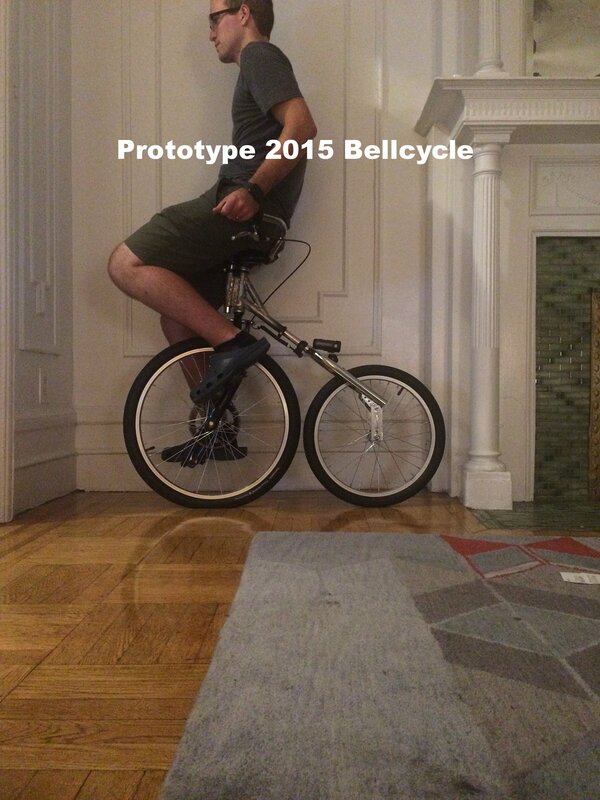 I wanted to have some flexibility in the design so that the geometry of the cycle could change. So the rear section of the cycle was disconnected from the front and I could adjust the angle of the “headset” based on this. 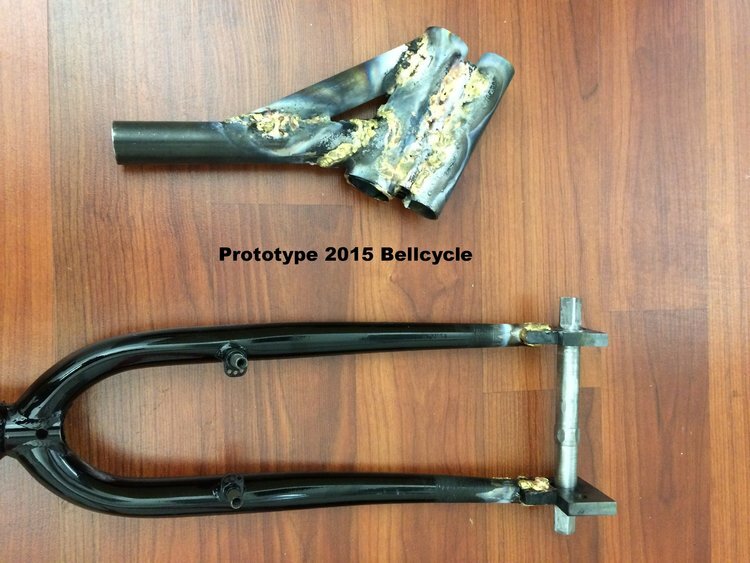 I dont have to point out that my brazing skills are …. horrible. But somehow it held. 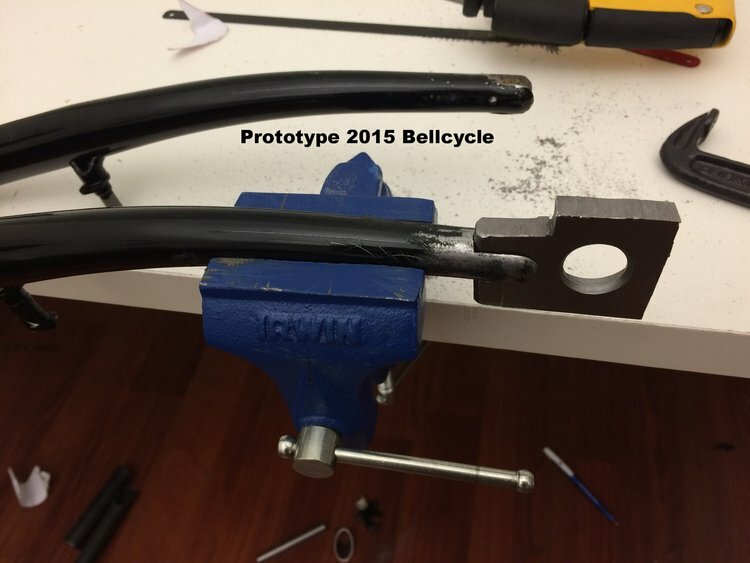 In the picture above you can see that I could adjust the piece of aluminum connecting to the rear wheel as well as the ping bolt connecting the two halves in order to change the headset angle. 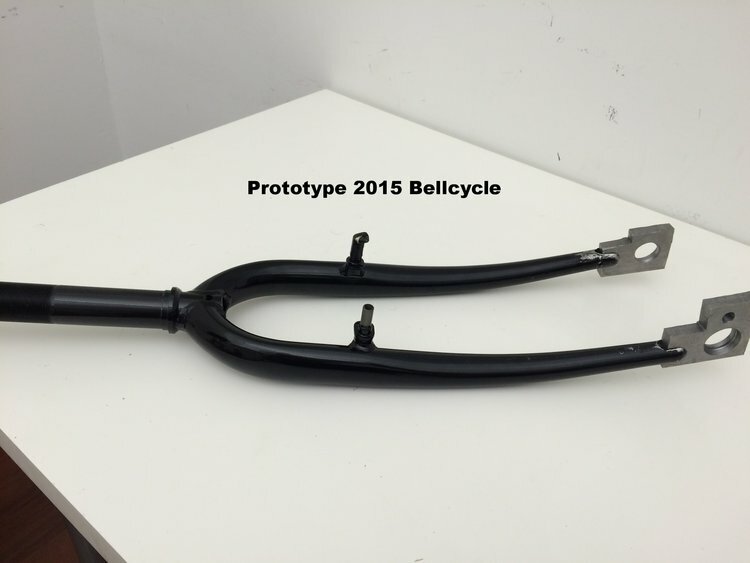 Also note that the seat is connected to the front frame via a separate tube which is brazed to the front of the headset tube. So its kind of rideable!!! *Its not very easy to ride. The pedal interference, the down pedal pushes the steering, makes the bike hard to control. Its also tiring as you feel you are consistently fighting against yourself. TODO: Needs better steering *Basically just a penny farthing at this stage. TODO: Get creative. *Most of the weight is on the front. Panic braking is iffy. TODO: Move center of gravity backwards. One benefit of the modular design, lets add in another wheel?